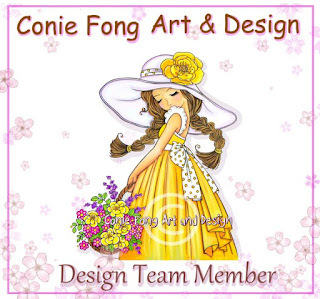 I am so thrilled to share with you all that I am part of Conie Fong Design Team. Her images are awesome. Her images are so good for coloring which I enjoy obviously. You can check out her digi stamps at her Etsy shop. See you next time with more inspirational posts. Congrats! Your bear is just adorable! Fabulous coloring!